There are two important things you need to know about selecting the right gutters and downspouts for your home. First, you need a proven system engineered to deliver long-lasting protection against the elements. Second, you need to make sure that system works just as hard on the sunniest of days to enhance your exterior design, complimenting your roof and siding. Berkeley Exteriors can help you select the system that is right for your home and your budget. Gutters play an important role in keeping your siding and grounds in good condition. By guiding the water away from your foundation, you minimize threats of flooding. Plus, you lessen the staining and fading of your siding that can occur when water and melting ice drip on the side of your home. Our seamless gutters will streamline the look of your home and provide safe protection for years to come. Leaf Relief®’s patented design allows water to flow freely while debris is lifted away from gutters with a gentle breeze. Independent testing proves Leaf Relief® is 100% effective against leaves, twigs, pine needles and small debris. It is also completely weather & pest resistant, fits all standard gutters, is available in copper and is simple to install! Leaf Relief® never clogs and never overflows. 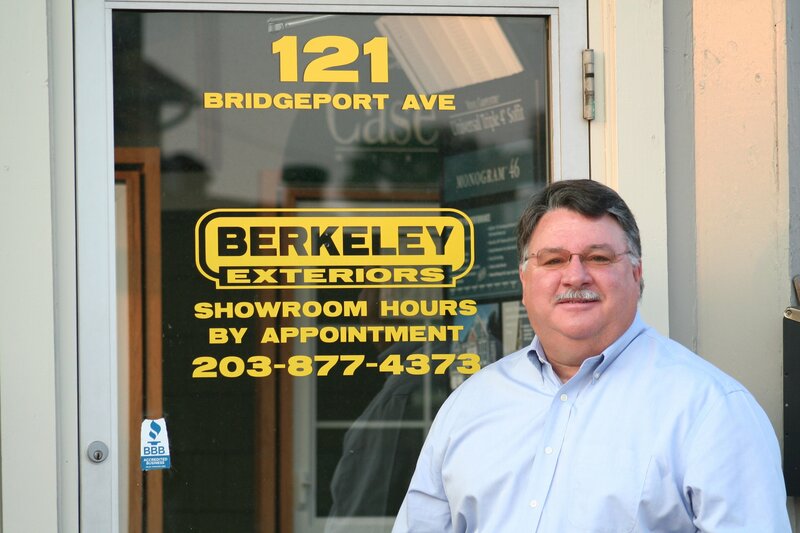 Berkeley Exteriors has been creating and installing seamless gutter systems, including gutter guards, for southern Connecticut homeowners for nearly 20 years. 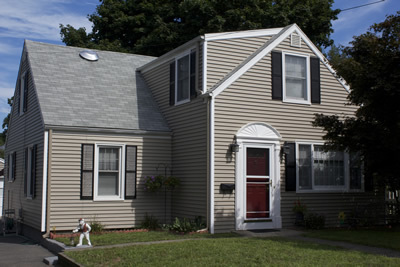 We're locally-owned and locally-managed and have experienced how the New England winters can damage homes without the appropriate gutter system. We've also witnessed the hassle of our beautiful Fall with fallen leaves clogging gutters when unprotected. If your existing gutters need repair, we are experienced and ready to help! Or if you'd like an estimate on replacing your gutters, we'll provide you with a no obligation quote. We are licensed and certified contractors, ready to help you prepare for Fall and Winter this year. Give us a call at 203 877-4373 to get started by scheduling a free consultation. We want to work with you.